Thanks to fellow Seibertronian, primalxconvoy we have some interesting news about the Takara Tomy Transformers Legends LG61 Decepticon Clones set. Evidently there was an error in the original instructions. Included in the package was a slip that corrects Wingspan and Pounce's robot modes that were swapped by mistake in the original instructions. The slip shows the corrected robot modes and explains the error. In case your Japanese is a little rusty the pages have been translated for you. Please note that some grammar does not always translate cleanly but the idea should be understood fairly easily. Do you have this set and did the error affect you? Let us know on the boards. Yes, thats what i meant. Takra doesnt distribute these legends toys at big box retailers in Japan, as far as I have looked into it. Hence the 15 year old age on the box. Takara has limited the age range for these toys and I have no clue why when its the same toys Hasbro markets to kids. 1/ Takara haven't limited sales of the toys to only online. I showed photographic evidence of this already of the Legends toys being sold in a major chain retailer in Japan. Here is the picture again. However, although most BM retailers are not carrying these figures, that's not so unusual as Transformers have never enjoyed a strong presence in such shops in the time I've been in Japan. I interviewed a shop assistant at that shop and they were unaware of the 15+ age on the box. Once told why, he stated that their shop (Yodabashi Camera, I think) allowed unaccompanied children of any age to buy toys, but didn't allow such children to buy videogames that the shop consisted graphically violent, or sexual in nature. When asked why the Legends toys were rated 15+, the staff postulated that this was due to the "original version of the toy being aimed at the same age" (we didn't understand this idea) and/or that the transformation was more complicated/the toy had sharper, more dangerous parts than regular released TFs). 2/ The increased age range is probably due to the use of "nsfw" imagery and themes in the attached comics that came with some of the figures (such as Octane, for example). 3/ These could be related to dwindling sales or a lack of money at Takara. TFwiki postulated that when Binaltech sales were low (possibly due to complicated transformations, etc), Takara aimed the toys at an older market, which meant that they could employ a more nsfw themes to entice a specific demographic (certain, older male "otaku" that liked nostalgic and/or "adult" references in their Transformers media). Thus, this seems to be a similar situation, with low sales/limited availability of Legends toys and similar adult content. WreckerJack wrote: Thanks to fellow Seibertronian, primalxconvoy we have some interesting news about the Takara Tomy Transformers Legends LG61 Decepticon Clones set. Evidently there was an error in the original instructions. Included in the package was a slip that corrects Wingspan and Pounce's robot modes that were swapped by mistake in the original instructions. It does show how well the Clones are made if the ones who made the instructions can't tell them apart. Takara hemorrhaging financially? Really? You better back up that statement or else some "expert" out there might call you out as a bearer of FAKE NEWS! TF isn't really as strong in Nippon as Gundam etc. The bread and butter is always and always be China! 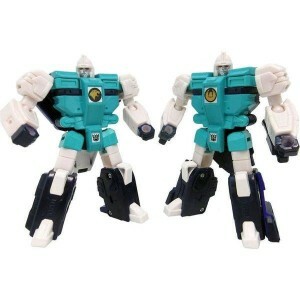 primalxconvoy wrote: 3/ These could be related to dwindling sales or a lack of money at Takara. Why do people still feel the need to perpetuate this myth? Takara themselves have posted their financial reports in English for all to see and they are very strong. They even specifically point at strong Transformers sales. They had an abysmal 2016, but 2017 was their best year since 2013 and that includes setting aside over US$3 million to prepare for losses from Toys R Us restructuring in the USA. Both their income from within Japan and globally as a parent company have been strong. Maybe a good argument could have been made in 2016 when Takara Tomy had a bad year, but not now. The final results for 2017 come out in March and I expect some big numbers to end the fiscal year. That doesn't mean Hasbro wont try to buy the, but it wont be because Takara Tomy is in the red. Given that lines are planned out much more than a year in advance, is it possible that Power of the Primes is the result of bad sales in 2016? kurthy wrote: Given that lines are planned out much more than a year in advance, is it possible that Power of the Primes is the result of bad sales in 2016? That's entirely possible, but that would depend entirely on what happened in 2016. I feel like whatever it was wasn't because of Transformers. I'm trying to think what lines were out in 2016 and I might be wrong but Adventure might have been the problem. That could be, both Prime and Adventure ended rather abruptly without finishing their shows and toy lines. I'm not so sure that alone would have been enough to suffer such a huge loss, but it couldn't have helped. Probably some combination of failed investments in new toy lines, video games, and anime, or maybe something in their electronics division crashed especially hard. For 2017/2018 they seem to have found some success in their new Tomica Hyper Rescue and Shinkalion franchises. Maybe Japan just prefers their robot cartoons homegrown. Maybe it's time for another Unicron Trilogy? One of the major factors was that Takara Tomy lost the (master?) licence for Pokemon, apparently. Also, regardless of Takara doing well, it's the LEGENDS Transformers that apparently were not selling that well, or the limited market that they were aimed at, creating a "chicken or egg" situation. As far as I have seen, Transformers have never enjoyed a really strong, consistent presence in most toy departments (with the exception of Toys R Us, and at Yodabashi/Bic Camera). This may mean that TFs have not really enjoyed the success of, say, Power Rangers, or Masked Rider in Japan. In 2016, they would have also been heavily in the design processes of Diaclone II (a line seriously threatening my bank account) and revamping the MP line, in addition to designing all the heavy retools for UW and Legends. Those might have been heavy capital expenses hitting their books without immediate gains to offset. Just speculating though. So ah ... cool topic and all guys, but as I have said on multiple occasions when it comes to the financial side of the business, could you just ... I dunno ... put it in it's own thread? People obviously want to discuss it, as it keeps getting brought up across various threads, but no one seems to actually want to start the discussion on it's own. So until that happens ... can we keep this about the Legends Toyline please? Come on, I'm asking nicely ... apparently people prefer their Admins to be nice. I personally think that's a load of hogwash but hey, I'm willing to give it a go. Which one of these lovelies is making it to your house, Burn? Archforce, and his brother, Megastorm. Burn wrote: So ah ... cool topic and all guys, but as I have said on multiple occasions when it comes to the financial side of the business, could you just ... I dunno ... put it in it's own thread? Since you asked so nicely, here's a new topic discussing Takara Tomy's finances. Who are you, and what have you done with Burn? I agree though, it's one of those things, like the social issues in the Legends comics, Legality/Morality of KOs, etc that really needs its own thread. I keep on meaning to start/make an interesting thread about these, but right now, I'm too darn busy. Anyway, here are some pics be of Archforce, with other purple Headmasters. There are even two Beast Wars Megatron Headmasters included, too. Stupid question, is Greatshot delayed to April like the Jumpstarters and Darth Vader? chuckdawg1999 wrote: Stupid question, is Greatshot delayed to April like the Jumpstarters and Darth Vader? No, but he's scheduled for 3/31 so he may as well be April. But the April delay was only a few days in if I remember right so it doesn't effect too much (aside from combined monthly shipping). Man, the wait for TFSource to get Legends Blurr in is killing me here. I ordered him there instead of BBTS for less so that I could add him to my stack and get free shipping on my MP15E/16E cassettes. I want my cassettes! They changed his release to March now, by the time they get him he'll be shipped with Greatshot and Grand Maximus. Those reprint Legends figures must be trickling in little by little to TFSource. I got my Blurr (replacing one of the first runs with bad paint slop) from TFSource a few weeks ago now, and I know that I finally got mine almost a month after other people started getting theirs from TFSource too. It's weird. 4,296 pages were recently viewed by 922 unique visitors. This page was viewed 1 times on Saturday, April 20th 2019 1:20am CDT. © 2019 Seibertron, Inc. DBA Seibertron.com. All Rights Reserved. Established June 2000. Seibertron.com is owned by Ryan Yzquierdo.